Approximately a fortnight ago the children of the late Patrick Martinborough discovered him motionless in bed. 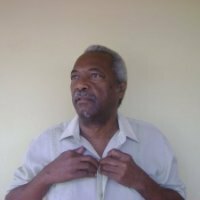 In closer examination they discovered he was dead and sounded the alarm which rebounded all over Guyana and every other community where staff, clients and beneficiaries of Guyana’s Experiment into social security. Congratulations to Zwade J. Marshall, M.D., M.B.A. Harvard University • Fellowship- Interventional Pain Management • Residency- Anaesthesiology (Distinction in Research) • Chief Resident Emory University • Bachelor’s of Arts in Economics (with Distinction) • Medical Doctorate (M.D.) – Humanitarian • Master’s of Business Administra1on (M.B.A.) – Organiza1onal Management and Operations – Robeson Outstanding Achievement Prize. Zwade was born and raised in Lamaha Gardens, Georgetown and he immigrated to the United States at the age of 16 after attending St. Jude’s pre-kindergarten, St. Margaret’s Primary School followed by Queen’s College Secondary School. In 2001, he matriculated into Emory College to pursue a Bachelor’s Degree in Economics and a pre-medicine course of study. As an undergraduate, he served as the President of the Emory College Chapter of the NAACP leading that organization to win many intercollegiate accolades for advocacy during his tenure.